Wednesday, July 25, at 6:30 pm. This event is totally FREE and refreshments will be offered. Bring your family and friends! Hugh Jackman leads an all-star cast in this bold and original musical filled with show stopping performances that will bring you to your feet time and time again. Inspired by the true story of P.T. Barnum, the film follows the visionary who rose from nothing to create a mesmerizing spectacle. This movie focuses on those casted out in the 1800’s. It is a timeless movie that defends those who are “different,” then and now in the 21 century. It’s a story that shouts equality for all! 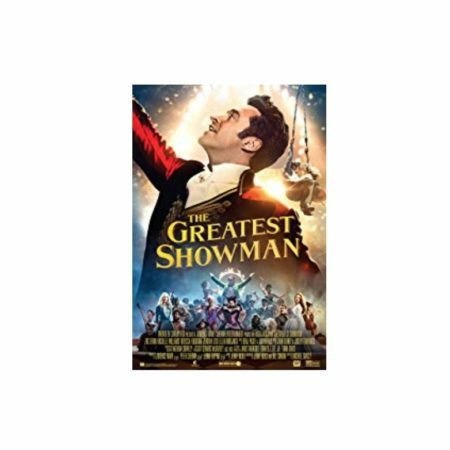 The Greatest Showman is a 2017 American musical film directed by Michael Gracey in his directorial debut, written by Jenny Bicks and Bill Condon .